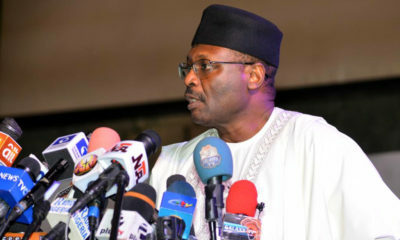 Professor Mahmood Yakubu is the new chairman of the Independent National Electoral Commission (INEC). He replaces the popular Professor Attahiru Jega. 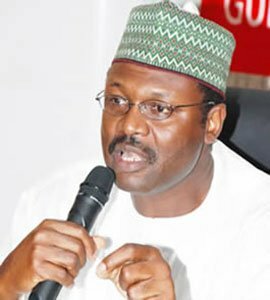 Prof. Yakubu’s appointed was confirmed at the emergency Council of State meeting held today by the President Buhari. A Professor of Political History and International Studies. Yakubu is an Expert in Guerrilla Warfare, Terrorism and Counter Terrorism. He also teaches War and Society in Pre Colonial Africa at the Nigerian Defence Academy (NDA). Governor Aminu Tambuwal of Sokoto State briefed journalists after the meeting, said the appointment of the new INEC boss was aligned with relevant provisions of the 1999 Constitution and in consultation with the Council of State. Acting chairman of the Commission, Amina Zakari is now the INEC Commissioner representing the North-West. “Is he qualified?”, I Believe that should be the question here. Check your story again. He cannot be a Professor and then he is an Assistant Lecturer. This our Northern brothers no dey laugh o. They jus appoint themselves shamelessly without thinking weda or not they are hurting anyones feelings. Abel Guobadia, Humphrey Nwosu, Ephraim Akpata, …. worked with other tribes!OBJ chose an Igbo man Prof. Morris Iwu, GEJ chose Attahiru JEGA, the ancestor we have now dines with other tribes with a very long spoon chose his brother!!!! Or this man is another credible man like Amaechi? A man who can trust me will certainly never have my vote! Can Yakubu possibly fail a fellow Northerner? My dear Buhari supporters is this ok by you????? Phewwww Nothernocracy 97%!!!!!! Sometimes these tribalism comments leave me sooooo angry. Stop wailing for heaven’s sake. There are more than 200 ethnic groups in this country and only one is shouting marginalization. What should we the minority that are from the middle-belt now do? We should go and kill ourselves abi because they did not appoint one of us in an important position? So far the work gets done, stop complaining please. It is getting irritating. That said, congrats prof. When coward speak! If you are a minority and seal your lips then good for you!!!! @Cindy pretending that what Bubu is doing is okay is the world greatest hypocrisy title awarded to you!!!! Oh pls shut it! You are the hypocrite here. Because GEJ didn’t do his own in the open abi? My mum works in a federal government agency and all through that man’s tenure the amount of contracts awarded in other geopolitical zones besides the south-south southeast were so minimal including the zone she heads. Even the ones they claimed to take to his side, where are they? Nothing to show for it. Awon ole jati jati. Please gerrarahere mehn! 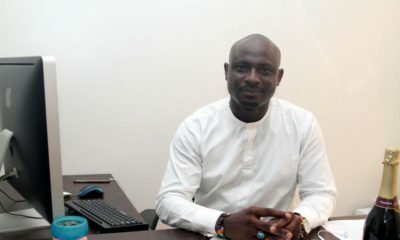 @Cindy, abeg quit bitching just because not everybody wants to prostrate and shout “rankadede’ to your Northern Ogas. I’m glad that there are still people in this country (even up there in the North) who still believe in equity and will not keep quiet about it. I am surprised that the council of state approved this. I would have thought it would have been better if the new INEC chairman is from another region than the incumbent and president or vice-president. That way, 4 years from now we can shine the light on him and see if there are shadows or not. Then again, even when Jonathan chose Jega, the wailers accused Jega of conniving with Buhari. I guess we are screwed either way. so long as this person is above board and deemed credible and trust worthy.